Jody holds a Master’s Degree in Social Work from the University of Pittsburgh’s School of Social Work, a Bachelor’s Degree in Business Administration from the University of Pittsburgh’s College of Business Administration, and is a graduate of the Professional Coaching Certification Program at Duquesne University’s School of Leadership and Professional Advancement. 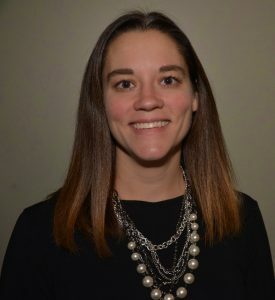 She is a Licensed Clinical Social Worker (LCSW) in Pennsylvania, a Level II Internationally Certified Gambling Counselor (ICGC-II), and a Board Approved Clinical Consultant (BACC) by the National Council on Problem Gambling. She serves as Vice President for the International Gambling Counselor Certification Board. As a coach, Jody brings her deep understanding of human behavior, relaxed and accessible nature, intuitiveness, and abilities as a certified facilitator of the Myers-Briggs Type Indicator and other recognized personality assessment tools. She values building a relationship with her client that is future focused, genuine and built on the principle of open communication. Her genuine interest is in seeing each client identify their goals and Get Better. As their “accountability partner”, Jody challenges and encourages her clients while maintaining objectivity and balance. She enjoys coaching individuals and couples or partners seeking alignment and a clear vision and focus to Get Better. Fun Facts: Jody is co-owner of Pittsburgh Guitars with her husband, John Bechtold. She also trained her golden retriever, Hanna, for pet therapy. Hanna may appear in the office from time to time. Rob Bumbaco, LCSW is the Co-Founder, COO, and VP of Clinical Services at The Better Institute. He is an expert in the areas of addiction, anxiety disorders, depression, and men’s related issues. Rob is goal oriented and enjoys motivating his clients to Get Better and be the best version of themselves. He is known for his caring and supportive approach. Rob holds a Master’s Degree in Social work from the University of Pittsburgh and a Bachelor’s Degree in Psychology from Niagara University. Rob is a licensed clinical social worker in private practice with over 10 years of experience in the mental health and addiction fields. He has a background in Cognitive Behavioral Therapy and Motivational Interviewing. He is constantly researching the most up to date and innovative practices to provide his clients, including the utilization of technology to provide convenient, alternative methods of counseling. In addition to working in private practice Rob has held leadership roles in multiple drug and alcohol programs. In these roles he has helped promote the recovery process by engaging his clients in both individual and group therapy. He has helped educate his clients and their families on the disease concept of addiction, effective relapse prevention tools, and overdose prevention strategies. He has a great understanding of all forms of addiction treatment, including medication assisted treatment approaches. These leadership roles have lead to Rob providing supervision hours for up and coming clinical social workers. Prior to his work as a therapist, Rob played Division 1 hockey at Niagara University. He has used his experience in sports and his background in therapy to become the founder of Back in the Game. Rob works with athletes in the following areas: sports performance, injury recovery, and at risk-behaviors. Fun Facts: Rob is one of seven children. He and his wife have three children of their own (ages 5-9) that keep them very busy, but also provide lots of love and laughter! Rob is a sports enthusiast. His favorite teams are the New York Mets and Pittsburgh Penguins. 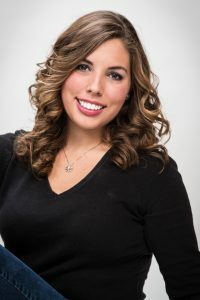 Morgan Parees is a creative and goal oriented Health Coach. Her passion lies in helping clients Get Better. Morgan holds a Bachelor’s Degree from the University of Miami and is a certified Integrative Nutrition Health Coach through the Institute of Integrative Nutrition. Using a holistic approach, Morgan helps clients define, achieve and exceed their wellness goals, creating a lasting change for the better. Coaching sessions with Morgan are delivered through a mix of in-person, video, email, and texting. Through her own health struggles and desire to feel better, Morgan discovered, the healing power of food and a balanced lifestyle. Learning to listen intuitively to her body and spirit has been the most pivotal change in her life. Her own experience sparked a passion to help others find personal wellness. In her coaching, Morgan, respects each individual’s unique process and aspirations; there’s no one right path to wellness. She meets clients where they are, to guide and encourage them in making the positive changes they desire. Fun Fact: Morgan is a Middle School and High School basketball coach at Eden Christian Academy. 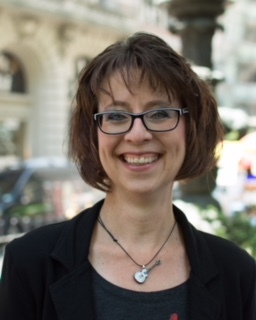 Robin Witt, LPC, CAADC is a licensed professional counselor with ten years of clinical experience. She has helped numerous clients struggling with addictions to substances and/or gambling to feel better. Supporting the loved ones of a person suffering from addiction is one of her strengths. Robin specializes in serving members of the military and their families as well as college aged individuals. In addition, she has worked with clients with a range of concerns such as depression, anxiety, bipolar, relationship troubles, parenting support, life stress, and grief. Her counseling style is warm and inviting. Sessions will be a safe space for you to open up about your thoughts and feelings. Robin’s approach is based in Cognitive Behavioral Therapy, with an emphasis on holistic wellness. Other modalities are integrated in order to meet the needs of each individual client. Robin has been able to successfully utilize teletherapy, when appropriate, to better meet the needs of her clients. Robin earned her Master’s Degree in Counseling Psychology from Chatham College in 2007. Her experience in the field of addiction began shortly after graduation, leading her to advance her knowledge and ability to serve her clients by earning her certification as an Advanced Alcohol and Drug counselor. The boundless nature of addiction became very clear, prompting her to study gambling addiction. Helping people to Feel Better about their lives and free from addiction is her passion. Fun Facts: Robin leads a balanced life outside of the practice. She is a wife and mother of two children. She enjoys being outdoors; camping, hiking, and boating are at the top of her list! In addition, she is a huge animal lover and can be found volunteering at the local shelter. She and her family, enjoy fostering dogs and cats in need. Robin’s life is better because of her faith, family, and willingness to never stop growing.